Your private diary is the core of Locum Organiser. It’s where you store all the details of your locum sessions – which surgery, session times, fee agreed and, if you like, some notes. 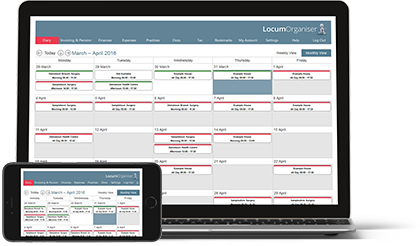 When you enter your sessions in your diary, all the other functions of Locum Organiser take care of themselves; the data is re-used for your availability calendar, invoices, pension forms and reports. Because it’s the screen you’ll use most often, we’ve made it quick to use. To add a new booking, just select the surgery and session (morning, afternoon etc.) from a list personal to you. The session times and fee for this booking will default to those which you have already agreed with the practice. Only change them if you need to. 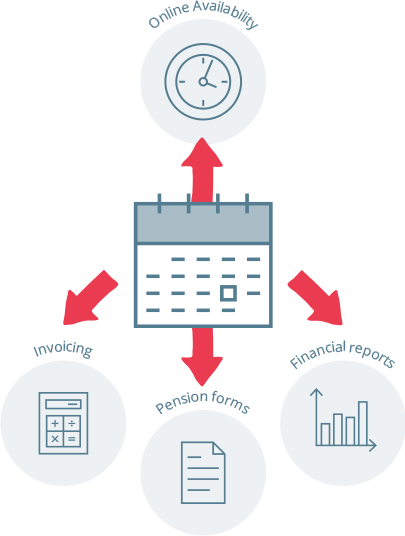 The sessions in your diary are automatically colour coded as they become invoiced (red) and then paid (green). And because it’s online, you can quickly log in and check your upcoming sessions or add new ones wherever you may be. 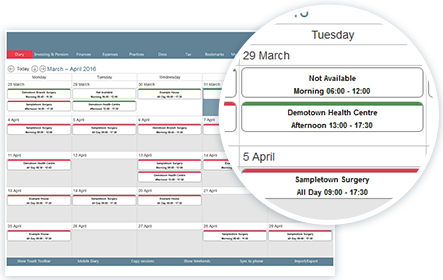 Your diary can also automatically sync to your iPhone, Android or desktop calendar. 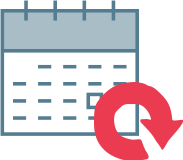 We append practice contact details to your bookings so they’re on your phone whenever you need them.